The TV presentation skills training was followed by a Radio Presentation Skills Workshop for radio presenters from 28 to 29 March. 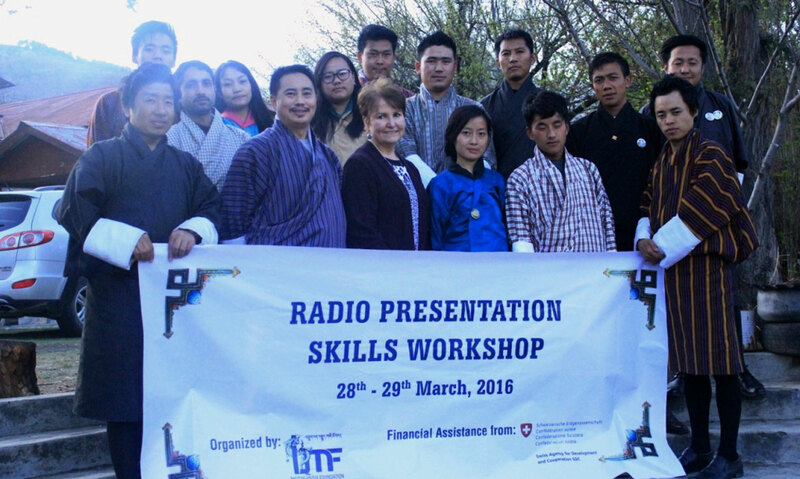 This was created as an interactive workshop to help develop skills in writing, production and delivery of content for radio journalists and presenters. Discussions were focused on elements that comprise successfully produced content as well as a look at the qualities of skilled presenters (anchor). The topics ranged from voice and intonation, posture and delivery, live reporting and co-anchoring and the art of interview. The workshop was conducted on the Kuzoo FM campus where 14 radio presenters (10 male and 4 female) participated.